How we manage, develop, and grow on our land is vitally important to Georgia Tech. A canopy of nearly 12,000 trees – approximately 130 species – not only contributes to our lush campus environment, but helps with our water conservation goals and in the reduction of the heat island effect, ultimately helping to conserve energy. We also take an environmentally sensitive approach to pest management and encourage the use of non-toxic, natural herbicides. One of our key initiatives is the Eco-Commons, which is intended to allow Tech to more effectively manage storm water by reducing inflows into city sewers and creating a system for reuse on campus landscapes. 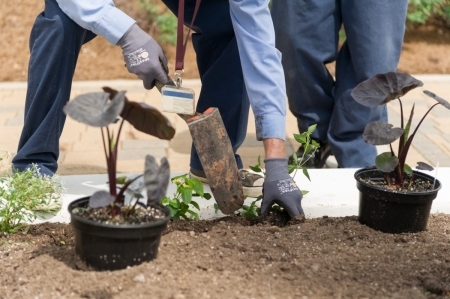 Georgia Tech Facilities takes many steps towards sustainable grounds management on campus. From leaf management to rain gardens, our green policies and procedures have earned us several certifications and awards. The Landscape Master Plan is a living document that helps guide campus development. Following the link can show you the current plan as well as updates that have been made to it. The Georgia Tech campus spans more than 400 acres and is home to more than 11,900 trees and 130 species of trees (campus trees can be viewed here). In 2016, Georgia Tech was awarded a Level II Accreditation by the ArbNet Arboretum Accreditation Program and the Morton Arboretum. The Georgia Tech Arboretum enhances our campus Living Learning Laboratory by providing a platform for the development of educational tools to study the performance of individual trees and the collective forest in an urban landscape. Within the most recent Master Plan update is the Eco-Commons project. 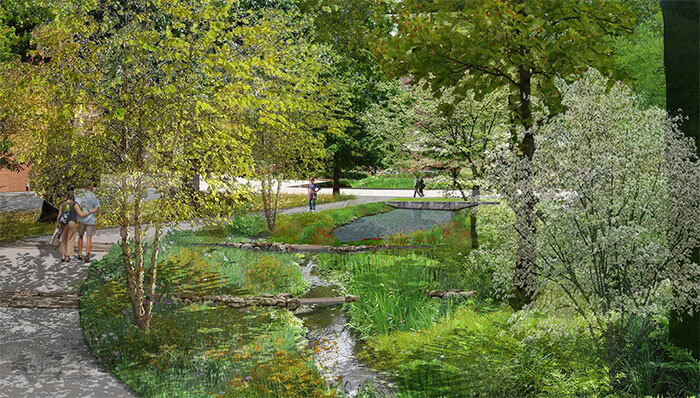 The project consists of a series of green spaces that replicate historic, buried streams. These spaces will help increase tree canopy coverage to mitigate storm water runoff. The CQGRD is a research group within the College of Architecture that uses planning, policy, and design to work towards societal sustainability and superior quality of life. The CQGRD serves communities, rather than just the campus, through research, education, and outreach. 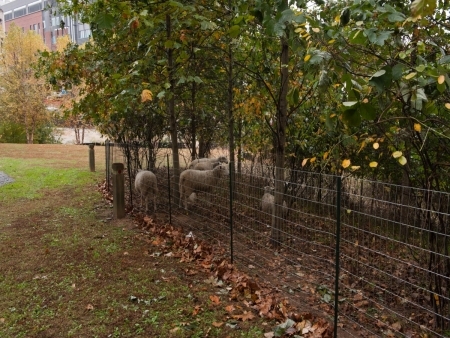 The Georgia Institute of Technology earned three out of a possible four stars from the PGMS Landscape Management and Operations Accreditation program. PGMS accreditation focuses on three categories: environmental stewardship, economic performance, and social responsibilities. Tree Campus USA recognizes universities dedication to campus environment if the school can meet five standards. Georgia Tech maintains environmental grounds certifications and has won awards for our sustainable landscape practices. We take part in the Tree Campus USA program. Rather than using harmful pesticides, Georgia Tech is using a unique method of dealing with kudzu overgrowth on campus. 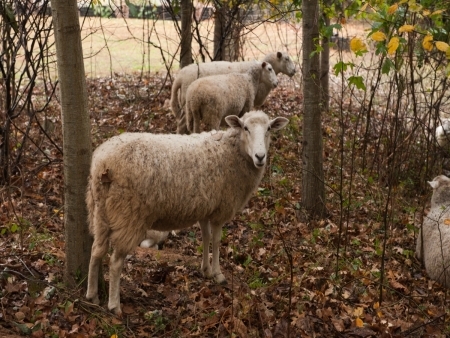 Read more about sheep helping control the rapidly growing kudzu at the link above. The Urban Bee Project aims to understand how urbanization affects honeybees as well as enrich the student experience. It also stays in line with Georgia Tech’s goals to use an interdisciplinary model system for course design.